the finest guitar tuition on planet earth brough t t o you by t h e worl d’ s be s t gu i tar t e ach e r s ! SLIDE Learn the secrets of 8 bottleneck giants Play slide from scratch Refine your technique Start playing slide today! ARCTIC MONKEYS Rock with the spiky attitude of Sheffield’s finest! 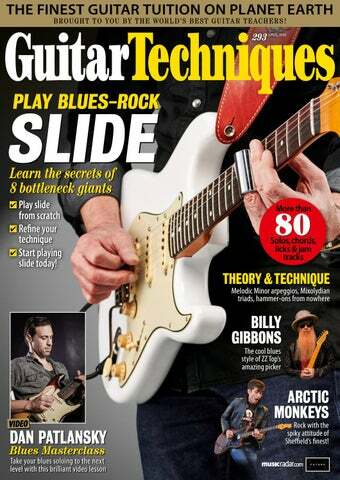 ISSUE 293 } APRIL 2019 Just a few of your regular GT technique experts... simon barnard Simon is a graduate of ACM and The Guitar Institute, holding a Masters degree in music. He teaches, examines and plays everything from rock to jazz. Shaun Baxter One of the UK’s most respected music educators, Shaun has taught many who are now top tutors themselves. His Jazz Metal album is considered a milestone. phil hilborne The UK’s original magazine guitar tutor, Phil’s something of a legend. A great player, he’s got the Phil Hilborne Band back together so catch them if you can. classic-era styles, so we were pleased he could accept the role. In our tried and trusted way we’ve given you style pointers using the best players in the business, some being very accessible and others requiring rather more work. But it means you can refer back to the article time and again. I know I will! Here’s a great piece of advice that Guthrie Govan once gave me on playing slide. He said, “Remember, you haven’t made actually mistake until the slide stops moving!” Only Guthrie could cut through it so astutely. Moving on, we have three very different video lessons this issue. Bridget now films her classical performances and this month her Sicilienne is simply wonderful. Contrast that with Dan Patlansky’s hot modern blues stylings, and Allen Hinds’ ultra smooth fusion soloing on Jason’s Nightlife, and I think you’ll agree we’ve done you proud. I do hope you enjoy the mag, and if there’s a style or technique you’d like us to home in on, just let me know. See you next month! john wheatcroft A phenomenal guitarist, John is a master at all styles but a legend in Gypsy Jazz. 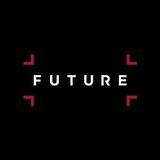 His latest album Ensemble Futur is out now on iTunes and Amazon. Jason talks about his love and admiration for the style and honesty in Billy Gibbons’ blues... Pat Heath has six new licks, from easy to advanced. On your marks, get set... gooooo! Ronan McCullagh examines the never less than tasteful and inspiring licks of Billy F Gibbons. Martin Cooper looks at Sheffield’s latest men of steel, the phenomenal Arctic Monkeys. John Wheatcroft continues his new series with a lesson on how to play minor key jazz-blues. Stuart Ryan examines the high-technique world of bluegrass guitar. So dig in those Cuban heels and hang on to your Stetsons! Simon Barnard revisits the heady days of 1967 as he assesses Traffic’s Winwood and Mason. Shaun Baxter is set to further inspire with a lesson on Carlton-style Mixolydian triads. Martin Goulding delves into developing arpeggios using the the Melodic Minor scale. How Nev wishes he’d taken up slide a tad earlier. In this fantastic article Phil Capone steers you through the styles of the top slide aficionados, some extremely accessible for those new to the technique and others sure to test your skills. Charlie Griffiths brings you a fantastic lesson on playing ‘hammer-ons from nowhere’. Learn where all the notes are on the neck. Make it a top priority to learn them all! Our easy-to-follow tab and notation guide. The South African blues maestro is taking the blues circuit by storm. In his video Dan takes you through some of his top fretboard approaches. classical tab Maria Theresia von Paradis Sicilienne 48 Bridget Mermikides arranges and transcribes a delightful and moving tune that you might recognise from last year’s Royal Wedding. Save money and hassle; get your mag delivered. Great offers on print and digital! If you missed a copy (surely not?). Latest guitar CDs reviewed and rated. Check out a flawless performance from the king of tasteful legato blues and fusion. Allen then talks us through his playing on Nightlife. Finnish blues-rock sensation, Ilkka Rantamäki. Sort out your Playing Stamina & Strength with this vital lesson. Plus: Tommy Emmanuel private video tutorial; Dvořák, Allen Hinds & more! Justin Sandercoe of justinguitar.com lends GT his insight as one of the world’s most successful guitar teachers. This month: Profiling me? profiling. I started thinking about individual players and styles and what can be ‘profiled’ from them – and realised that I do a lot of that manually already. I’ve listened to hundreds of hours of Freddie King, studied the notes he likes to use, the way he bends, the inflections and curls he adds (and to which notes), how he phrases way back on the beat. In some ways, I have a ‘profile’ of him in my mind and I can do a poor man’s imitation of his style. computer would be able to take all that info and make something that we find emotionally stimulating. Or would it? When we create music, be it composition or improvising, we are mostly regurgitating and exploring things we have learned, practised or studied at some point, and so being aware of the ingredients that make up our own style can be quite an interesting one. Guitar instrumentals have supplied some of music’s most evocative moments. We asked some top guitarists for their take on this iconic movement. Today we meet ex-Jethro Tull and now successful solo artist Martin Barre. GT: What is it about instrumentals that appeals to you? MB: I approach instrumentals and songs in exactly the same way. They need to be ‘complete’ musically in their basic form. Sometimes a song I have written becomes an instrumental and the opposite happens as well. Taking away the impact that words have for the listener, I’m left with a clear vision of a finished piece of music and I have total control of the end product. GT: What can an instrumental provide a listener that a vocal song can’t? MB: I think the listener will focus on a vocal performance and the lyrical content with a song. An instrumental focuses on the guitar (or mandolin etc) and the construction of the music is much more apparent. This gives the writer a wider range in the depth of construction, be it simple and melodic (Jeff Beck) or very complex (Scott Henderson). GT: Any tendencies with instrumentals that you aim to embrace or avoid? MB: I’m still on a learning curve with my writing, especially with songs. I move forward (hopefully) with every record I make and am constantly reviewing my own abilities, noting where I could improve in various areas. I write with a very open mind and start in my studio (after a couple of coffees!) with no agenda, so anything can happen; including nothing. Mostly, as I love writing, ideas emerge and I record all my ‘scribbles’ for the next day’s jury …which is me ! I want music to be accessible to the listener and try to make the content intense but subtle. GT: Is a typical song structure (intro, verse, chorus, middle, outro, etc) always relevant for an instrumental? Intro which, if it’s a great song, can literally repeat without change. Looking at the classical composers teaches us all we need to know about the construction of instrumental music. I like to listen and be inspired. music, as long as it provides these results. I always write with all the other instruments involved in a way that highlights them all at some point. I write ensemble music and not music for a guitarist with a backing band. GT: How useful do you find studying a vocalist’s approach for guitar melodies? GT: Many vocal songs feature a guitar solo that starts low and slow then finishes high and fast. Is this useful for instrumentals? GT: How do you start writing one; is there a typical approach? MB: My inspiration is my love of the guitar; any day will be a great day, as long as I can play for a few hours. I never have a deadline or any pressure on my writing and that always makes it a pleasure. The bottom line in my day, is turning up the Soldano amp and jamming with some nice Robben Ford. The other extreme is sitting with pencil and paper and coming up with a fresh ideas; no parameters, no agenda. GT: Any favourite keys or tempos? as in a song with a semitone lift, is a cheap way of sustaining interest. MB: I have no favourites; though writing on guitar steers you to the most accessible keys. With Tull a lot of music was written with a capo on the 3rd fret; so I got very used to the keys with all those nasty sharps and flats. I practise in Eb, G#, Bb, F# etc, just to keep my brain working. The song dictates the tempo and, live, it has to be at the tempo the piece was written at - that’s part of the music. GT: Do you view the backing band differently than on a vocal song? MB: All my music is written to a stage that gives me a choice of the end result; vocals or not. I am incapable of writing music that has total simplicity as its basic structure. I wish I could; as most great songs are fairly minimal musically. Essentially, I’m putting off writing more lyrics; a job made harder as I can’t sing myself. GT: Do you find minor or major keys easier to write in? GT: What are your views on harmonising melodies? MB: Harmonisation is the cream on the cake for me. It’s the part of writing that I won’t give away, so I write all the vocal harmonies and, occasionally, sax, flute and string parts. It all follows the same rules, yet the rules can be persuaded to bend. Sometimes I give the backing vocalists a harmony line that defies and baffles them and they give me a strange look. I say …”trust me”. And when it all comes together and works, I am grinning with delight. a guitar melody can go through chord and key changes, stretching the ear as much as you dare immediate and then on further listening there is a lot more to digest from all the subliminal work. Solos must have passion, but sometimes, when I feel they are given too much importance and become normalised I will ‘write’ the solo as an arranged improvisation. Playing live there is a lot more space for soloing. GT: What type of guitar tone do you prefer for instrumentals? MB: I love variation in tone. Some days I feel like playing a vintage Strat or my Telecaster, other days the thick warmth of my ES-335; but mainly I use my PRS P22 as it does pretty much everything. Having said all this, people very often say that they know it’s my playing by the sound of the guitar. I guess I can’t get away from being me. tends to be major, for reasons I can’t explain. GT: How about modes? MB: I don’t acknowledge modes by name or by design. I know all the modes in all keys, but don’t get bogged down by the theory. I let my ear tell me where I’m going and inevitably I’ll land on some modes along the way. I practise scales to warm up and that familiarity helps in those “Where am I? “ moments. Knowledge of scales, modes and chords is my safety barrier. GT: What three instrumentals have inspired you? GT: Modulations into new keys? MB: Three that have inspired me: Robben Ford, Revelation; Paco de Lucia, Al Di Meola and John McLaughlin, Midsummer Night from The Guitar Trio; Julian Bream and John Williams, Pavane For A Princess by Ravel. by Barry Gibson with Jim Burns acting as consultant. First guitar produced is the Burns Legend Deluxe based on the original Marvin guitar with scrolled headstock, three Rez-O-Matic pickups, distinctive scratchplate and vibrato system. It’s a great guitar, available in white or green sunburst, and brings the name Burns back into the market. We start with this stompin’ blues in the key of D. Both D Major Pentatonic (D-E-F#-A-B) and D Minor Pentatonic (D-F-G-A-C) will work a treat on this jam. You can also tune to open D of course (D-A-F#-D-A-D) and get a slide out! This Whole Tone (G-A-B-C#-D#-F) jam will probably feel a little different. As the name suggests, all notes are one whole tone apart. The chord progression is based on the scale, bass notes being G-D#-F. Try finding patterns and licks and making use of the symmetry of the scale by moving ideas up and down in whole tones – or major 3rds (which of course is two whole tones). ➋ Latin Jazz Blues (Cm) Here’s a Cm Latin style jazz-blues. C Blues scale (C-Eb-F-F#-G-Bb) and Natural Minor (C-D-Eb-F-G-Ab-Bb) are both great. As are the arpeggios. Cm: C-Eb-G. Fm: F-Ab-C. Ab7: Ab-C-Eb-Gb. G7: G-B-D-F. Dm7b5: D-F-Ab-C.
➍ Fun Blues Shuffle (A) We finish with a fun and simple blues shuffle in the guitaristfriendly key of A. Here I recommend mixing A Major Pentatonic (A-B-C#-E-F#) with the ubiquitous A Minor Pentatonic (A-C-D-E-G) for a classic blues sound. Happy jamming! Jam tracks by Jacob Quistgaard. For free scale maps and hundreds more tracks, visit www.quistorama.com. You can also subscribe to www.youtube. com/QuistTV to get all the latest tracks and licks. Or find Quist and his jam tracks on Twitter, Instagram and Facebook. finally ends and Paul Simon tours there; Disneyland Paris theme park officially opens; at the Wimbledon Championships Steffi Graf wins the Women’s Singles and Andre Agassi the Men’s; Ferrari announces it will be building and designing its F1 cars in Britain; and, following his 26th Grand Prix win, Nigel Mansell announces his retirement from Formula One racing. A tribute concert for the late Freddie Mercury is held at Wembley Stadium. It’s televised live all over the world and raises millions for AIDS research. Russia, America and Britain to stop targeting cities on either side with nuclear weapons. It’s a huge step towards a more peaceful coexistence. The Conservative Party is re-elected for a fourth term and Prime Minister John Major announces that the economy is showing signs of recovery which could mean the end of the recession. However, it doesn’t stop a third of Britain’s coal mines being closed or British Steel cutting production by 20 percent, due to a worldwide fall in demand. Bolt-on Series II Maple Top with the intention of bringing a more cost-effective guitar into its range. It has a slightly rounder shaped alder body, maple neck and a rosewood fingerboard. It comes with three pickup options including the Lindy Fralin ‘Domino’ split coils and these are mounted onto a scratchplate giving this guitar a very different look for PRS. However, with the optional maple ‘10 top’ this all American built guitar has high production costs so is not the price buster it’s intended to be. but soon after there are three major announcements from Buckingham Palace revealing that all is not well in the royal household. The Duke and Duchess of York are separating, Princess Anne and Captain Mark Phillips are divorcing and after much speculation Prince Charles and Princess Diana announce that they are also going their separate ways. (aka the DX1) with a basswood body and a bolt-on maple neck. The two-octave, bound rosewood fretboard features the distinctive pearl sharkfin inlays and the guitar is equipped with a pair of Jackson stacked coils and a humbucker. Naturally there’s a locking vibrato and Jackson’s trademark pointed headstock. It’s available in pearl white, metallic blue and metallic black and is an instant hit.